Investigators have released an update in the D.C. mansion murders that rocked the Washington D.C. area this spring, generating further questions as to the motive of the murders. On May 14, firefighters were called to extinguish a house fire in a wealthy neighborhood of D.C., only to find the badly burnt bodies of Amy and Savvas Savopoulos, their son Philip, and their housekeeper Veralicia Figueroa. 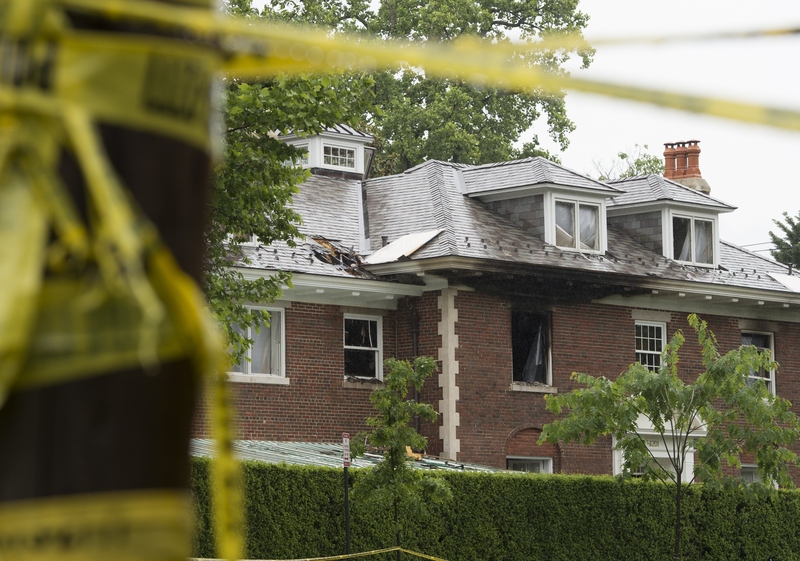 According to investigators, the four individuals had been kept hostage within the mansion for up to 20 hours and suffered blunt force trauma before the house was burnt down. The prevailing theory has been that the murders were part of a ransom plot. Savopoulos, the CEO of American Iron Works, had instructed an assistant to bring $40,000 in cash to the house hours before it was lit on fire. But now investigators have found that although the killer took the $40,000, there were thousands of dollars in the house that were left untouched. Given the family's wealth and the valuables that were ignored, it casts questions on the motive of the killer. Or rather, killers. According to CNN, analysis of the crime scene has shown that there must have been more than one individual present to help restrain the family and housekeeper, orchestrate the ransom, kill the individuals, and then light the house on fire. But police only have one man in custody — and he claims he is innocent. Daron Dylan Wint, a former welder at American Iron Works, is currently the only suspect who has been charged for allegedly having a role in the murders. Wint, who had not worked for Savopoulos in over 10 years, was arrested after his DNA was found on a pizza crust at the scene. Later, investigators found one of the victims' blood on his shoes. According to Wint's former defense attorney Sean Hanover, Wint was framed for the murder. "We believe he was set up and that there are more people involved in this," Hanover told CNN. Police have also questioned Jordan Wallace, Savopoulos' assistant who dropped off the cash, and claimed that his story changed several times during the investigation. Wallace reportedly gave different accounts as to how he obtained the $40,000, and where he left it. Police pulled his cellphone records, but he has not been named as a suspect. Five months after the initial murders, the second alleged killer is still unknown, and investigators are struggling for a motive. According to former FBI Assistant Director Ron Hosko, the money left behind in the house indicates that it might have been about more than a ransom. "There is an element here that seems personal. There are indicators of anger in this, all over a relatively small amount of money," Hosko told CNN. "There was almost a prolonged suffering and torture for the sake of suffering and torture." Wint has entered a plea of not guilty, and is expected to appear in court again on Dec. 17.